Once Both the PSC are installed and configured we need to Replace the Certificate on Both PSC nodes with subnet alternate DNS records having First PSC, Second PSC and Load balanced PSC Name. 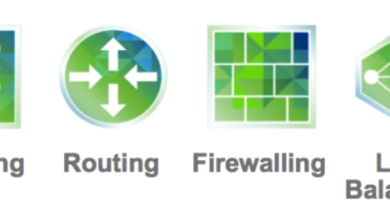 We will cover the load balancer part in Part 3. This step will cover how to create a request file then CSR for SSO SSL certificate which needs to be requested either from the PSC iteself or from external third party CA. These certificates eventually needs to be installed on Both PSC. 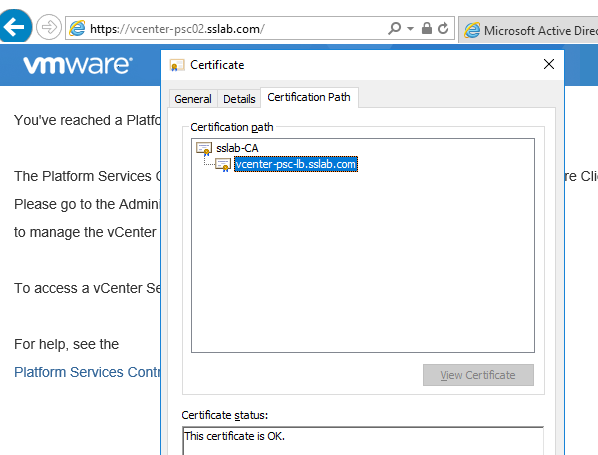 Note: subjectAltName = DNS:vcenter-psc01.sslab.com, DNS:vcenter-psc02.sslab.com, DNS:vcenter-psc-lb.sslab.com , these are the names of First PSC, Second PSC and Load balanced VIP Name. Sample Output for all steps are given below. root@vcenter-psc01 [ ~/certs ]# cd ..
Run below command to create the certificate request file psc-ha-vip.csr with keyfile using the above created config file. If you receive any directory /certs not found errors, remove / before certs and run command as shown below. Sample output is given below. We need to connect to PSC with WINSCP however there are known errors that you might get SFTP server or buffer size errors then follow below steps to enable bash shell so that PSC will allow secure SFPT connections. After fixing the WINSCP issue, connect and download the CSR file from PSC. Run this command to create the certificate from the psc-ha-vip.csr and the the psc_ha_csr_cfg.cfg file outputting a psc-ha-vip.crt file. 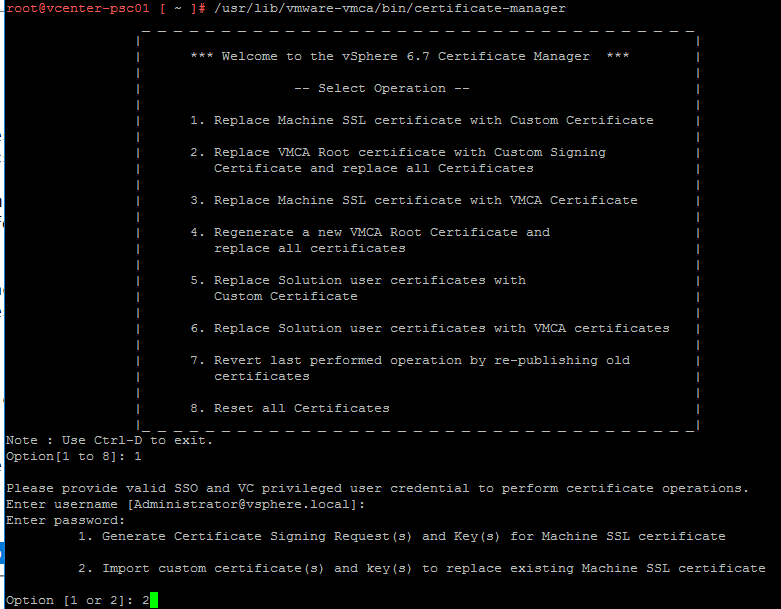 Run this command to copy the current VMCA root certificate and rename it to cachain.crt. Run this command to create Machine SSL Certificate that contains the newly created certificate and the VMCA root certificate named psc-ha-vip-chain.crt. 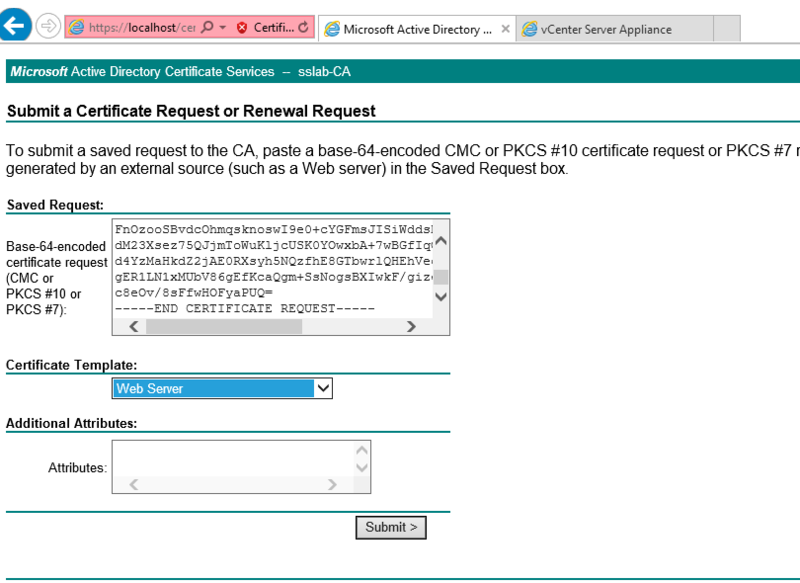 The certificate can be requested form an external CA as well, in my case microsoft CA is in use. Select Advanced Certificate request and request the certificate as shown below. Using WINSCP upload server certificate psc-ha-vip.crt and Root certificate RootCA.crt to /certs folder in PSC appliance. This command will create psc-ha-vip-chain.crt file, which contains all the certificates in chain from server certificate , then intermediate and ROOT certificates. Our case no intermediate certifiacate authorities are present. This command will create cachain.crt file, which includes the ROOT and all intermediate CA certificates. If in case there are intermediate certificates are present then below will help. If there is intermediate certificates, run these commands to create a cachain.crt of the intermediate certificates and the root certificate. verify using ls command under /certs folder for psc-ha-vip-chain.crt , psc-ha-vip.key and cachain.crt files are present. To replace the SSL Certificate SSH to the PSC node, login to shell and run below command as shown. When Prompted for file path provide below information as shown. Note: If getting any path errors remove the / before certs, as we are running it under root as shown below. It will update all the services, stop and start them as shown below. Restart the PSC appliance after this. Copy the complete certs folder in First PSC to your computer using WINSCP , then copy the complete certs folder to Second PSC appliance. Login to Second PSC appliance using putty or terminal and repeat Step 4 for the second PSC. Once the certificate assigning is completed and PSC is restarted, open the fqdn of both psc from browser and verify that certificate is in place and without any errors. Note: if the CA root certificate is not installed on the machine from which you are opening in browser you might get cert error. in that case verify cert and ignore warning. Next Load balancer configuration needs to be completed.